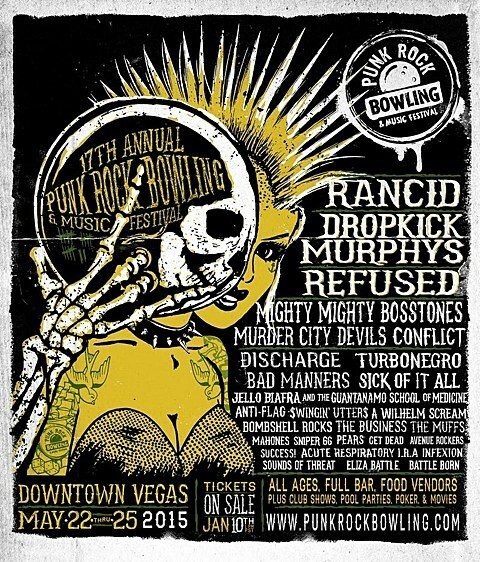 Punk Rock Bowling 2015 already announced its initial lineup which includes great names such as Refused, Rancid, The Muffs, Murder City Devils, Discharge and more, and now the rest of the fest has been revealed. Joining those bands will be Sick of It All, Turbonegro, The Mighty Mighty Bosstones, Jello Biafra and the Guantanamo School of Medicine, A Wilhelm Scream and more. Tickets go on sale January 10 at 1 PM PST.